Dhaka 14 May 2018: We, Bangladesh Honda Private Limited (BHL), are pleased to announce new Honda Dream Neo with more appealing graphics and Chrome plated Grab Rail at our Honda Exclusive Authorized Dealers (HEAD) nationwide. Dream Neo, the new bench mark in fuel economy & evergreen decent style, is powered by 110cc HET engine, that delivers 8.4 Ps power and comes mated to a four-speed gearbox (all-up pattern) and has drum brakes both at the front and rear. With a fuel efficiency figure of 74km/litre , 720mm long comfortable seat, 179 mm high ground clearance and tubeless tyres, Dream Neo has become most sought after choice of practical & mature customers in Bangladesh. 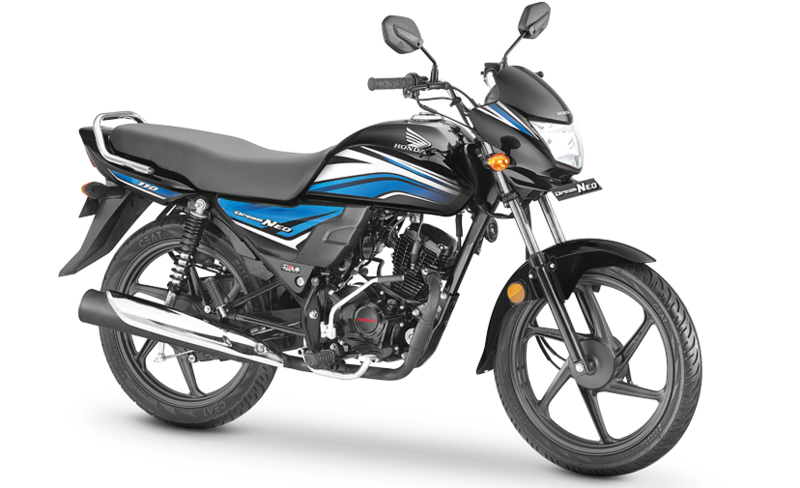 This is Honda's most affordable bike in executive segment in Bangladesh with retail price of 114,500 BDT.